The ladies and the youngsters had a GREAT week! Like young Katylyn Luker from Santa Maria CA! 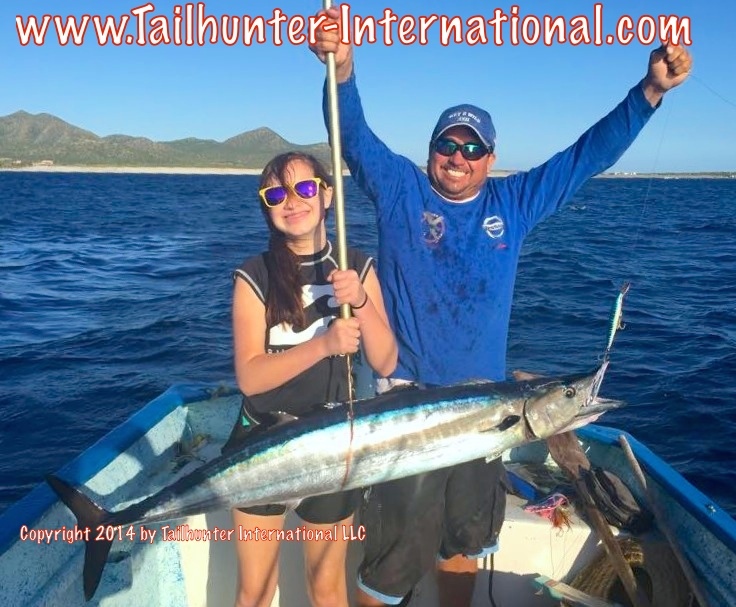 Right out of the chute, her first fish on her first day is a big wahoo! Captain Moncho signals touchdown! 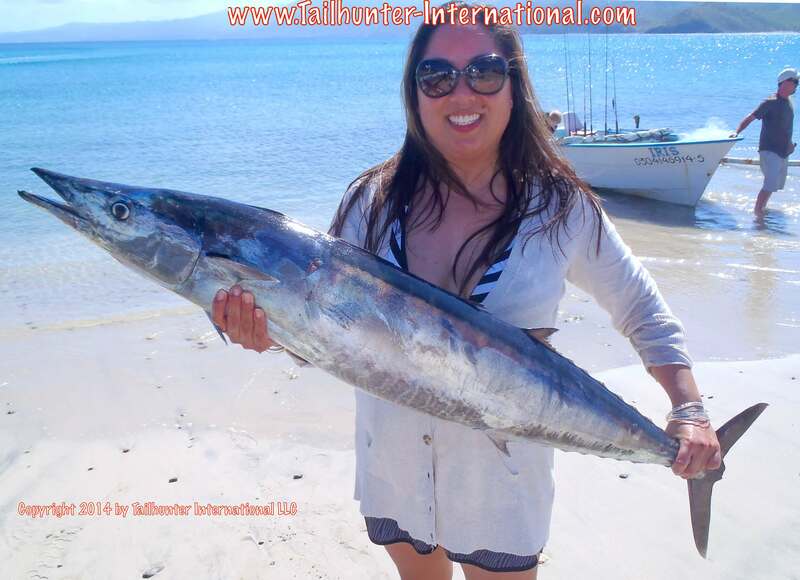 Another one of our amigas who had a banner week, Lisa Hicks from Seattle WA, put the hurt on this chunky wahoo at the south end of Cerralvo Island using a Rapala. Vic Patton has been one of our regular amigos for many seasons! 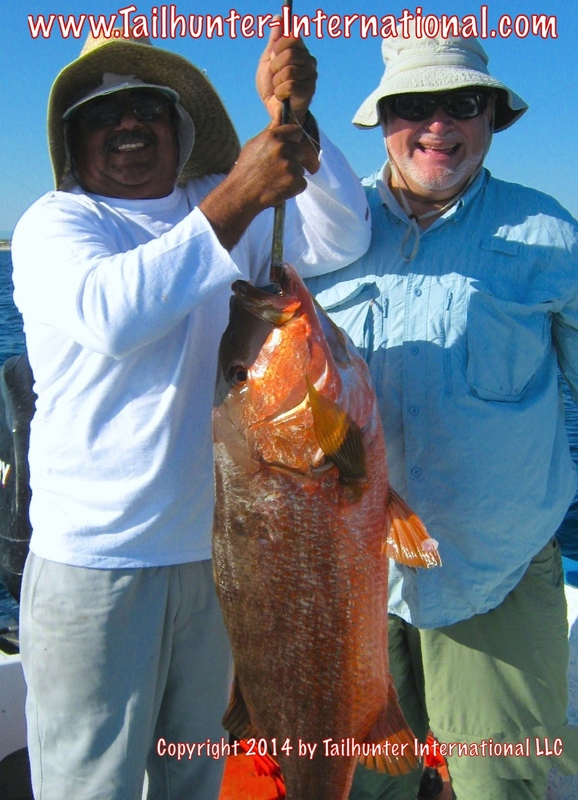 He and Captain Victor show off a real trophy…a dog-tooth snapper! Also called a Cubera Snapper, these are tough tough fish and getting the out’ve the rocks is an accomplisment! 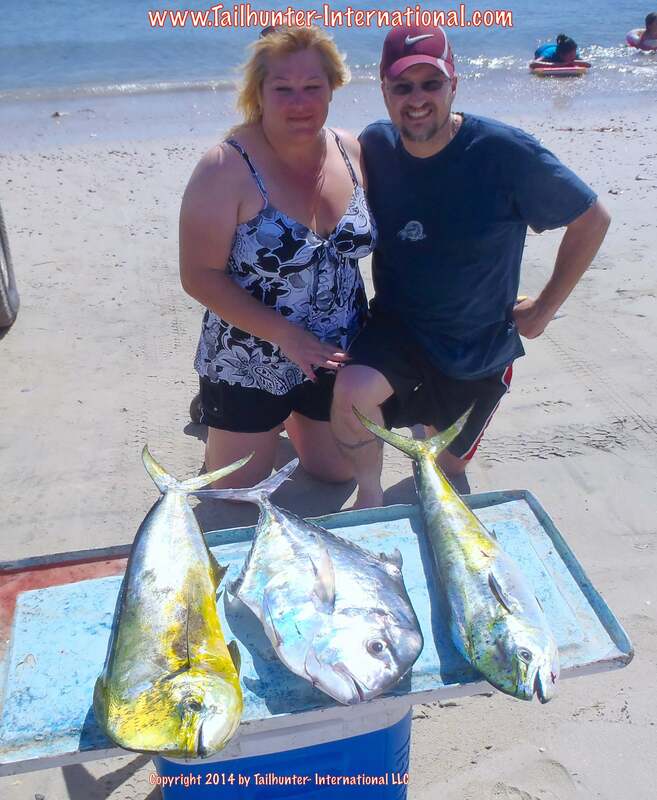 Two more of our first-timers…Mike and Robbi Caray came down from their farm outside of Portland OR to enjoy some sunshine and had an incredible day on some big dorado like this 40 pound class beast! Mike fought this fish for over 45 minutes! Brothers Andy and Raphael Montejano had one of THOSE kinds of days…Andy nails this big rooster and Rafi put the hurt on a wahoo. It was their first time fishing and they also got dorado and snapper on an incredible day. Our new amigo from Idaho, Tom Mullican, was here for almost two weeks of fishing. He was going to fish a few days then take some days off then fish a few more days. 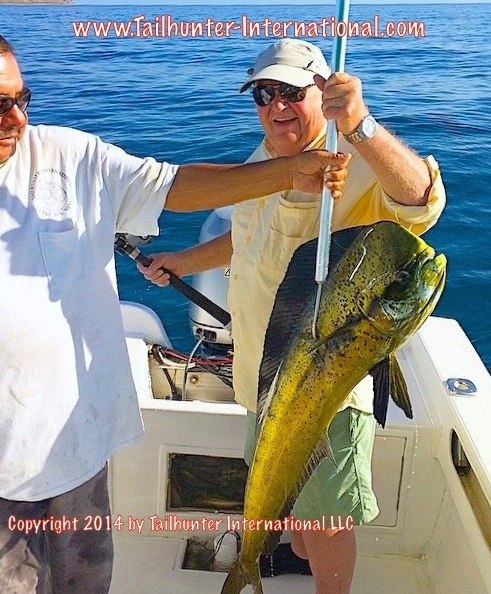 After two days of dorado fishing he decided he was having too much fun and booked fishing EVERY SINGLE DAY! One of the nice surprises of the week was the appearance of the big roosters again. Captain Victor holds up a fish caught by John Hardardt. The fish was released. They are near the rocks just south of Bahia de Los Muertos. Captain Boli help our long-time friend, John Ehlers from Denver CO, who just got done working at a lodge in Alaska and brought his family down to La Paz. 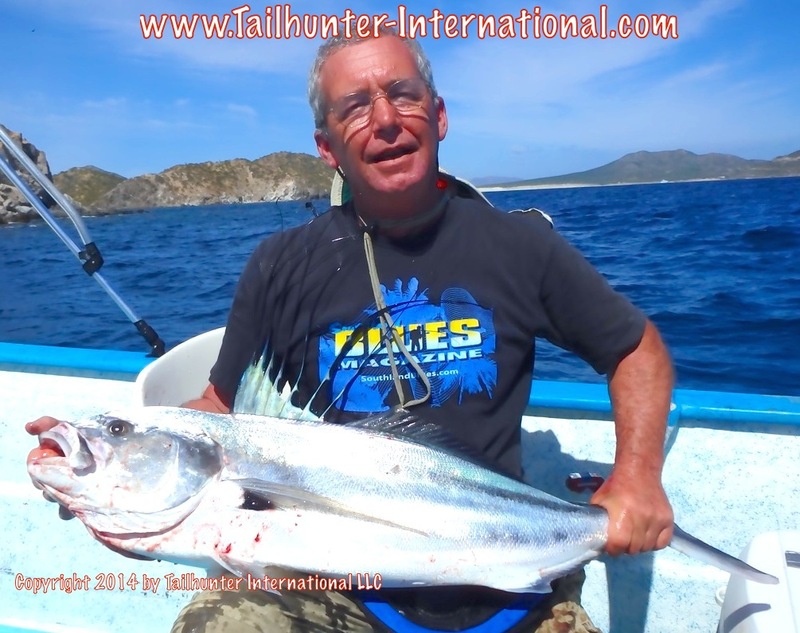 John had a great week on dorado and other species with Captain Boli. 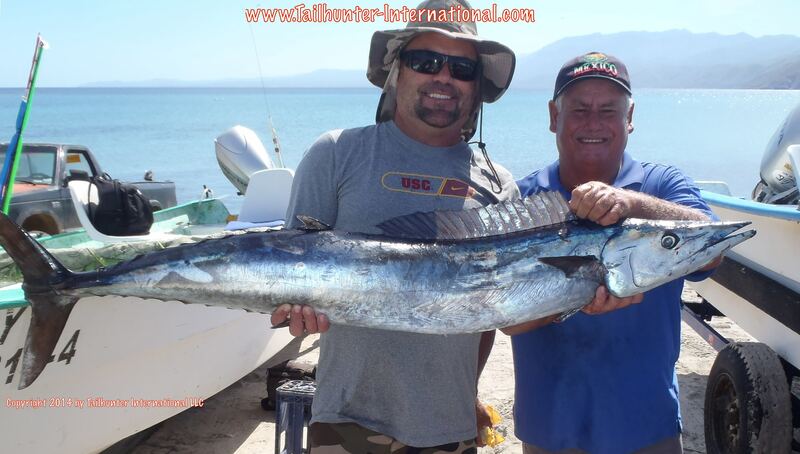 Another one of the nice wahoo we picked up this week, Rod and Nick get an assist from Captan Jorge with their “hoo while on the beach at Bahia de Los Muertos. Brian Mee from Washington, shows another example of one of the crazy variety we had this week. Using light tackle, Brian brought back a catch of cabrilla and tasty sierra…usually not seen until our waters cool down. 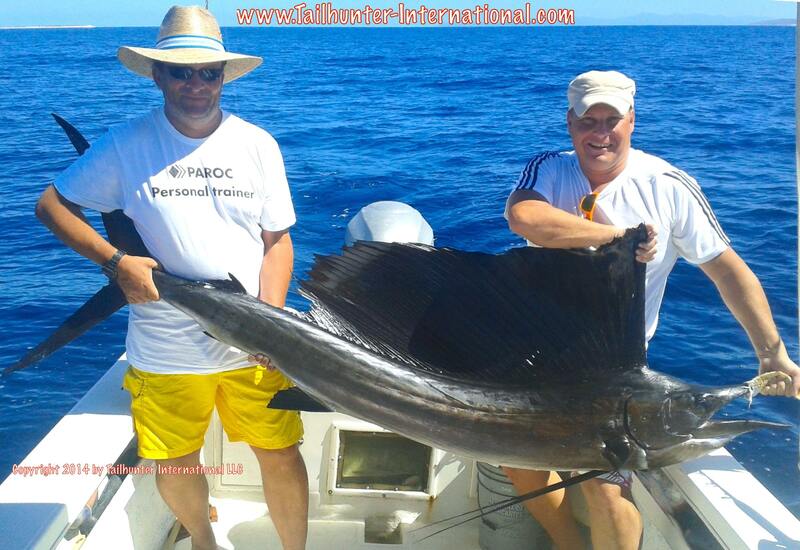 Kris Honkola from San Rafael CA and his amigo, Marcus Dyster all the way from Finland , took this quick photo of one of their sailfish they caught north of La Paz. The sails were thicker than we’re normally used to! Just a beautiful photo…Sean Gould at sunrishe…the cast…and the HOOKUP!!! Captain Archangel is all smiles with Mike Davis’ nice wahoo. 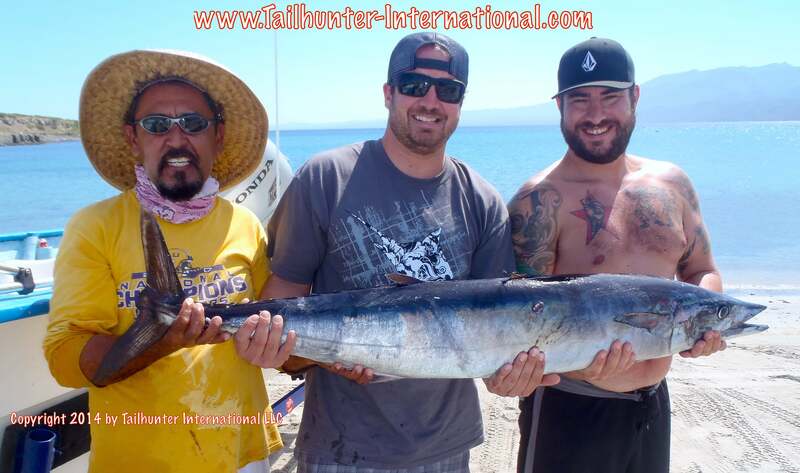 Mike is from Santa Maria CA and got his first wahoo this week. Hard to find someone more fun or enthusiastic than our Seattle buddy, Dan Hicks. And he knows how to fish too and loves the light tackle. 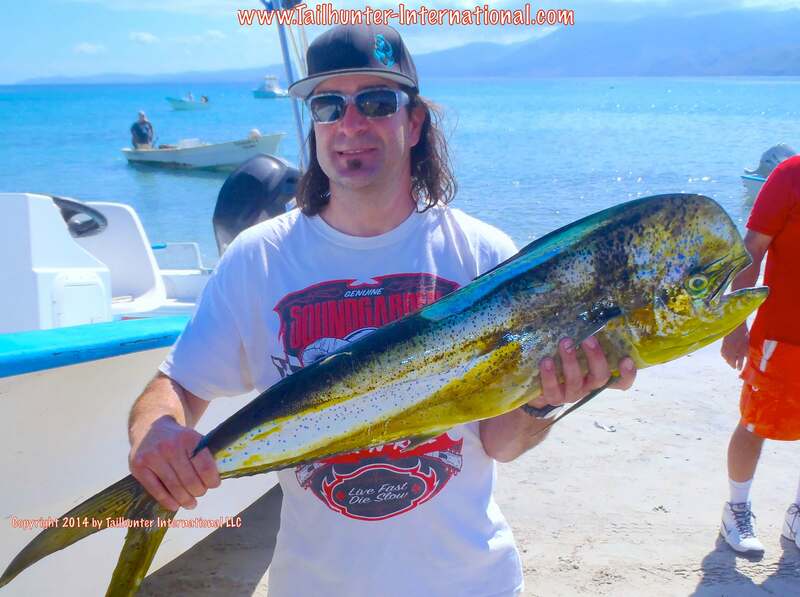 He had a great week on the dorado! 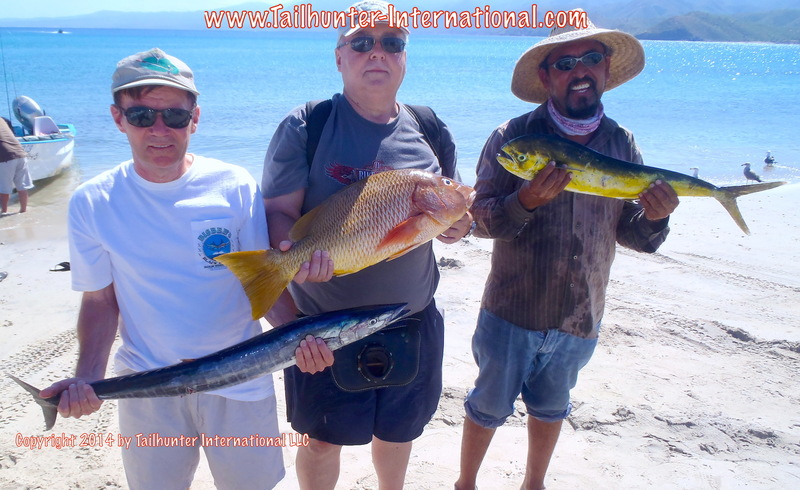 Talk about variety…Jeff Solum…Mike McMurray and Jeff Solem with Captain Jorge pose with a baby wahoo, a big pargo and a dorado. 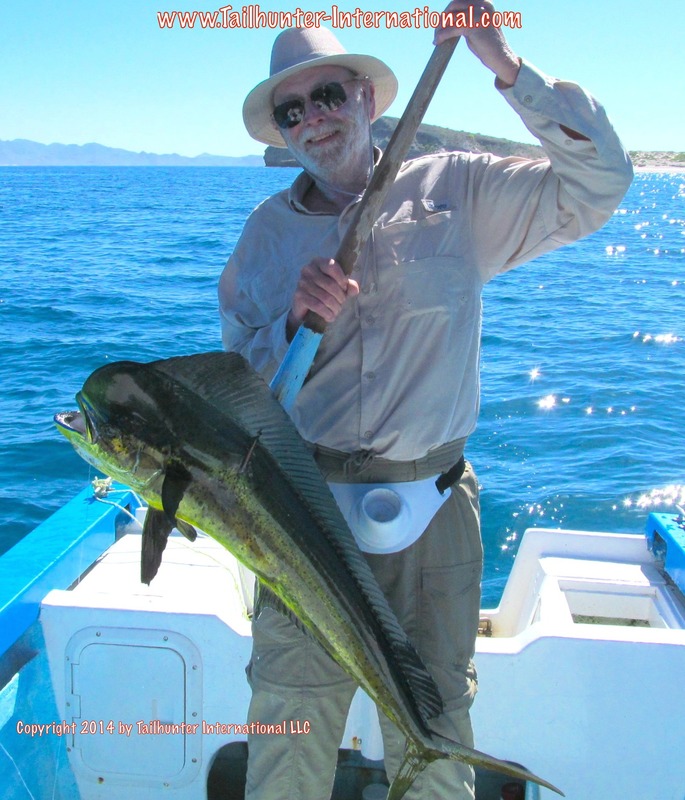 Roy Zimmerman from Fullerton CA is one of our regular fishing amigos who always does well, but had a tough week on the fishing grounds. 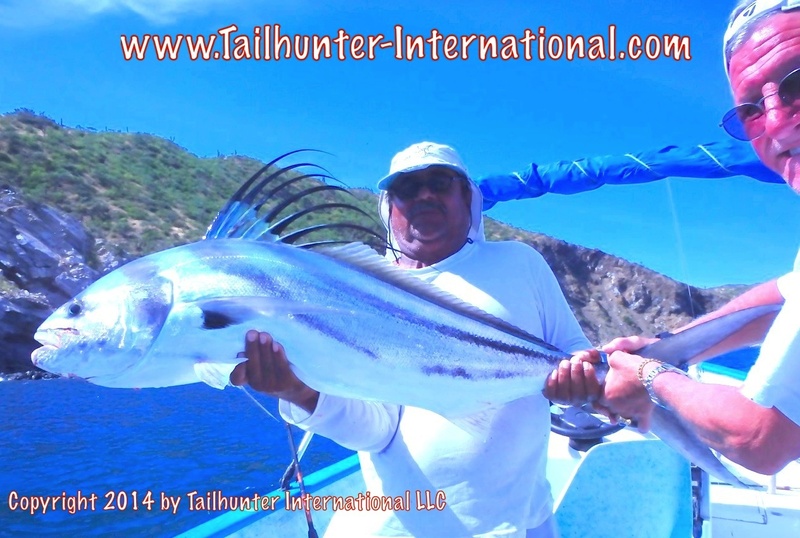 However, he DID catch and release this nice rooster south of Bahia de los Muertos. 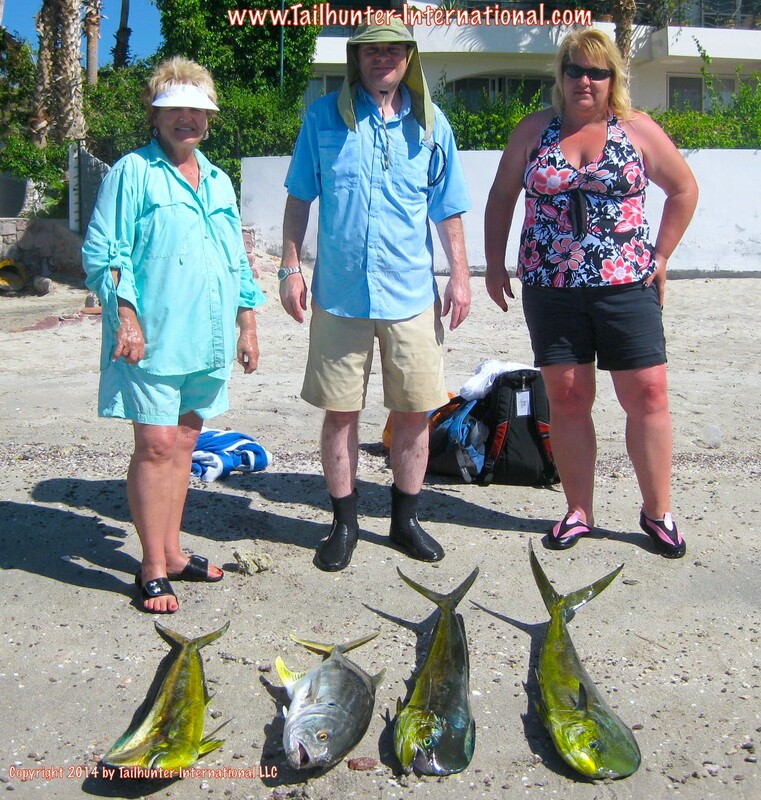 Our Colorado family…Dolores Ehlers, Cary Ehlers and Laura Weinholtz on the beach behind La Concha Beach Resort with three nice dorado and a jack crevalle. Another nice wahoo in the box! Captain Armando with Gary Austin from Oregon and brother Glen from Utah. More variety and good eating! 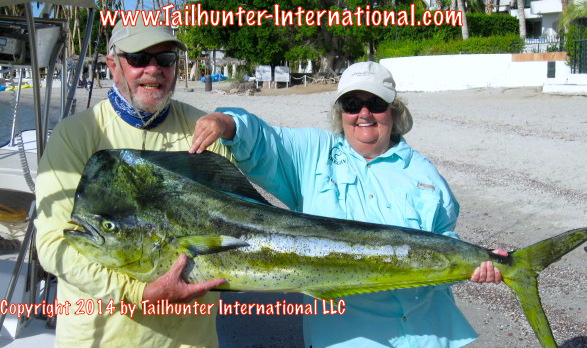 Laura and Dennis Weinholtz from Denver CO with a couple oof nice dorado along with a huge pompano! CRAZY WEEK…NOT ALOT OF QUANTITY…BUT SOME GREAT QUALITY! You’ve heard of “Quality over Quantity.” Well, it was THAT kind of week. There were NOT alot of fish by our standards although there were some nice flurries of dorado, bonito, jack crevalle, sierra and other fish that kept rods bent. But, those fish could be there one day and gone the next. Or they could be in one spot and move the next day or be there for 30 minutes of madness then the ocean would be calm again and not a fish in sight. That’s just the way it is right now. The seasons are changing. Water and air temperatures are cooling and we’re transitioning to the winter season which is approaching. Shadows are different. Current are different. The wind is starting to blow stronger from the north. It can be a little choppier. We’re going to get some days that the winds might even be too strong to fish comfortably. The upside to all of this is that there are a tremendous number of species! Just check out the photos!!!! We probably had as many as a dozen different species of fish…inshore…offshore…blue water…rock fish…We never knew what our folks were going to come back with. And that’s what made this week really different. We didn’t have LOTS of fish. We had a lot of DIFFERENT FISH. AND we had some real QUALITY FISH! Like check out the wahoo this week! This had to be one of the best wahoo weeks of the season. 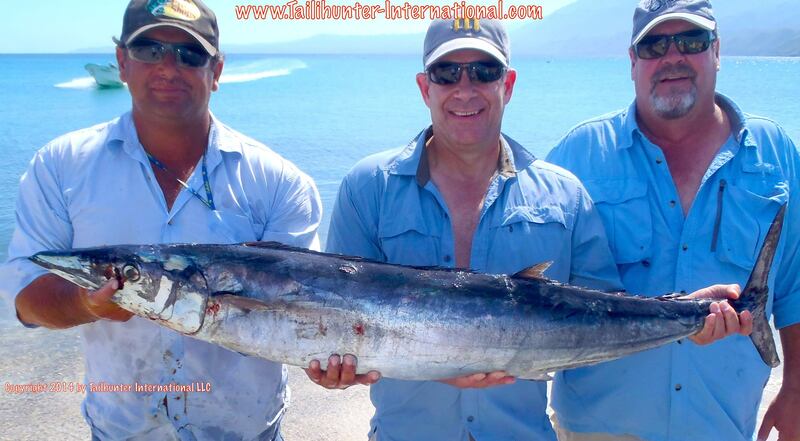 We had one day when almost every one of our pangas hooked at least one wahoo around Cerralvo Island. 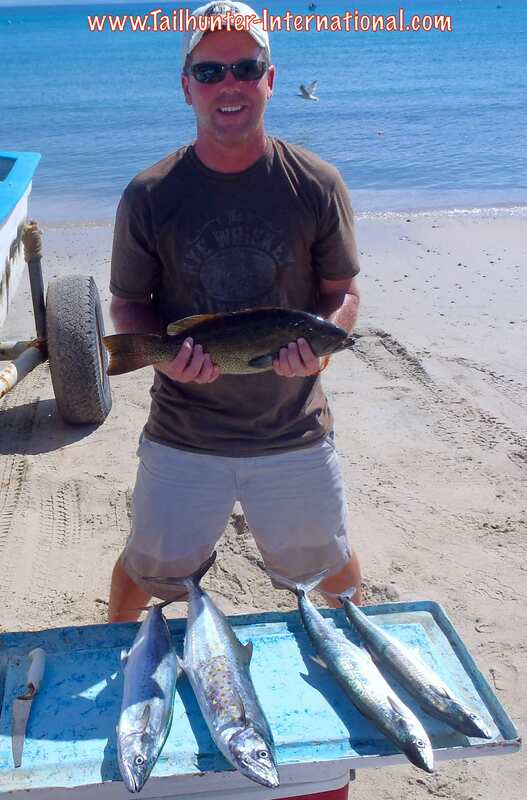 And these were nice healthy 30-50 pound fish. Also, for the first time in many months, we got 30-60 pound rooster fish and some huge dorado as well up to about 45 pounds and many others that were lost! The dilemma in this kind of fishing is that you don’t get many chances. If the fish aren’t milling about, you might get one or two big bites…FOR THE ENTIRE DAY! It might be a big wahoo. It might be a big dorado or rooster fish. For whatever reason, if the fish gets off or you miss the bite or you have your beer in your hand…that’s it! 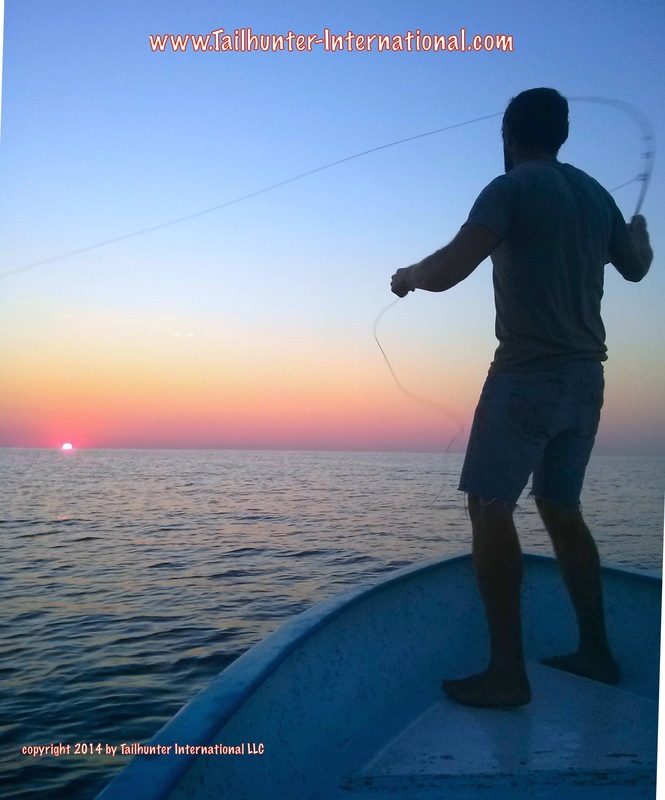 It’s a missed opportunity and the rest of the day could be nothing more than a few bonito. I think we’re gonna see more of these variable conditions in the next coming weeks as we transition into winter. Overall, however, you can’t ask for prettier conditions just to be here in La Paz. Days are not humid. Just nice sunshine and 85-90 degree air temps. It looks like a postcard. Most days are flat calm. The water is still in the 80’s. Night temps are comfortably in the 70’s. One head’s up…looks like we do have a bit of rain coming this week with a late-season storm that could hit us mid-week and get us wet and stick us with some strong winds. Then, it moves off quickly.